Like slots and all other casino games, bingo sites have found a new forever home on the Internet. 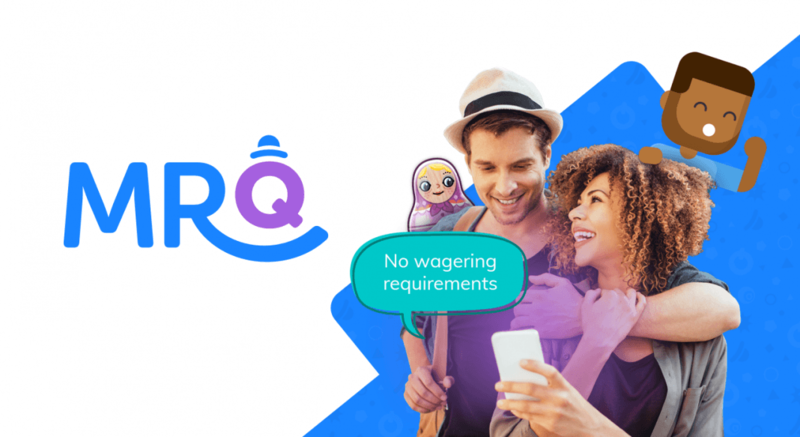 Bingo halls are still popular, but with so many online bingo sites appearing on the web every day, it’s clear that gaming will completely move online sooner rather than later. And, it’s no wonder why. Online bingo sites are bigger and better than their predecessors, offering an unparalleled range of games and enticing offers. Plus, they allow you to play your favourite bingo games right from the comfort of your own home, free of any interruptions. Below you can see a list of the top 10 bingo sites in the UK which we’ve reviewed from all angles. Below is our list of 10 best bingo sites for UK players: These sites have been ranked based on overall reputation, selection of games, customer service, payment processes and of course bonuses on offer. If you’re an avid bingo fan, you’re probably going to recognize the name Bucky Bingo. Known as Buckingham Bingo for over 40 years, Bucky finally moved online after it closed its last bingo hall in 2011. With over 40 years of presence on the bingo market, it’s clear that Bucky’s team knows what bingo players want and need. Visit the website and you’ll be impressed by the fun and user-friendly design with bright colours and areas that are easy to access. Licensed by the Alderney Gambling Control Commission and the UK Gambling Commission, Bucky is as reliable as it gets. Bucky has 10 online bingo rooms running on the Virtue Fusion network with games powered by Playtech. Bingo players know that this means quality games and lucrative rewards as well. Apart from the obvious bingo variants (75-ball, 90-ball, free bingo), Bucky offers dozens of slots, table games, and scratch cards. You can play the latest hit slots such as Shaman’s Dream or Heart of the Jungle and others provided by industry juggernauts. Registering at Bucky Bingo will bring you a cool £20 + 70 free spins on Rainbow Riches. All you need to do is deposit at least £10 to qualify for the bonus. The bonus comes with 4x wagering requirements (4x cap), while the free spins must be played 50 times before withdrawal. Bucky Bingo is regularly placed on top 10 online bingo sites lists and has even won awards for its efforts. It’s definitely a bingo site you shouldn’t miss. Sun Bingo is a major player on the UK bingo scene. It’s part of the News UK Group which also owns the established newspaper The Sun. As such, Sun Bingo is a pretty popular bingo site and a frequent name among the best online bingo sites. Winner of several WhichBingo awards in 2018, Sun Bingo is a respected and fully regulated bingo site adored by thousands of fans. Offering a number of online bingo rooms and a great selection of other online games, you won’t spend a boring minute with this operator. As one of the top bingo sites online, Sun Bingo’s offer is impressive to say the least. The game lobby runs on the Virtue Fusion platform and is nicely varied. You get 75-, 80-, and 90-ball bingo plus a variety of special variants such as Jazz Bingo, Candy Room, Cash Cave, and Deal or No Deal Bingo. Apart from all the bingo games, Sun Bingo also offers slots from the best providers on the market such as NetEnt. You also get to play a few progressives and table games as well. The site runs great on desktop and also has an iOS app in store, providing a great mobile experience. Deposits and withdrawals are handled by numerous methods including Skrill, Neteller, Visa, and Mastercard. No 24/7 support, though, but you do get an extensive Help page. All in all, Sun Bingo seems to be one of the most varied and best online bingo sites in the UK. MrQ Bingo is a site which, as it states itself, was fed up with the rest, so decided to be the best. That’s quite a strong claim in a world where online casinos and bingo sites all look pretty similar. Some are bad, but the majority of bingo sites are great, so MrQ Bingo needs a strong outing to make the claim work. Fortunately, it’s on the right track. Instead of recycling old website designs, MrQ Bingo has a pretty clean and colorful enough design to go easy on the eyes. Of course, it does its best in the bonus and game department as well. Deposit at least £10 to get 10 free spins on the Legend on the 5 Ninjas slot and try to win big, no wagering required. There’s no deposit bonus which is a bit disappointing, but the wagering-free spins are a nice consolation prize. In the game lobby, you can expect a selection of unique bingo rooms. There’s a free for all room offering 30 bingo games in 24 hours. Of course, no bingo site can go without 75- and 90-ball bingo and MrQ Bingo is no exception. There are a few special bingo promotions you might want to check out as well. Of course, all the games work on mobile platforms as good as they do on desktop. If you’re not a big bingo fan, you can enjoy a host of slots, jackpots included. The selection could have been bigger, but MrQ’s focus is understandably on bingo. There’s a solid number of deposit and withdrawal options, with limits of £1,000 per day. The limit could be higher, but it’s good enough for us. If we had to do a list of the top 10 bingo sites in the UK, MrQ Bingo would definitely be on it. the only drawback is that it’s for UK and ROI players only. Mecca Bingo is a UK bingo site where everyone’s a winner. With a colourful theme and a loaded game library, Mecca is a great site with decades of experience in the bingo industry. The award-winning bingo site offers 25 bingo rooms, nice bonuses, and a reliable and safe gaming environment, which is everything bingo players need. Let’s start with promotions. The Everyone’s a Winner promo gives all players a chance to win a prize in either cash, bingo bonus or free spins. Just spend £5 on a game and you qualify for the promotion automatically. There’s no welcome bonus, but there are so many promotions that you don’t really need one. How does bargain bingo with premium prizes north of £10K sound? With 25 online bingo rooms, Mecca Bingo has all the bingo variants you need. Turbo Gold Bingo, Cashline Bingo, Jive-Talking Bingo, and special games such as Emoji Bingo and Britain’s Got Talent all await you in the bingo section. Furthermore, the bingo selection is complemented by a solid selection of slots and jackpots you really need to give a try. Mecca Bingo has been especially praised for its strong community and its equally strong presence on social media. Mecca is a multiple award-winning bingo site, and that speaks volumes of its quality. Add to that the fact that it’s regulated by the UKGC, and you’ve got yourself a top 10 online bingo site. If you’re new to bingo and don’t know where to start, Mecca Bingo is an excellent choice. It’s a real mecca for bingo fans. Another one of the top 10 bingo sites in the UK, Bingo Besties is a fresh operator that’s all about making friends. Part of 888 Holdings plc., Bingo Besties has a Gibraltar and UKGC license which makes it a reliable operator. With 10 bingo rooms in the library and an impressive collection of slots. In the true manner of a best friend, the bingo site offers a variety of bonuses with no wagering requirements at all! Registering at Bingo Besties will give you £70 worth of bingo tickets and 10 free spins. it’s a generous offer considering the fact that you don’t need to play the bonus through 50 times. But, the real fun lies in the game lobby. There are bingo rooms such as £10K Sunday Blast, Street Party Bingo, and Last Call Bingo among other that feature enticing jackpots. You simply must give them a try. Unlike other bingo sites, Bingo Besties has more than 300 slots in its offer. That’s a pretty nice collection even for a site that’s focused on online slots, which is why Bingo Besties is a favourite of many bingo fans in the UK. You can play them all on the go, of course, on numerous Android and iOS devices. In terms of banking, there aren’t that many methods to pick from, but you still get the essentials (Visa, Mastercard, Entropay, PayPal). The bingo community at Bingo Besties is widely known as “the friendliest community around” which is no surprise considering the site’s name. All in all, Bingo Besties is a friendly site where you can enjoy a host of bingo games and hundreds of slots as well. If we had to pick a bingo site that stands out from the crowd in terms of design, it’d be Wink Bingo. With a clean and refreshing design, the site looks like it came straight out of Roy Lichtenstein’s portfolio. It’s a real breath of fresh air in an otherwise stale bingo website design market. It kind of looks like a comic book which we love, but the real surprises are “under the hood”. Wink Bingo has a range of top promotions for newcomers and regular customers as well. If you’re new to the site, you can play in the Newbies room for free and win up to £300. The offer lasts for 3 days, which means you can win as much as £900. That’s as generous as it gets. With 25 bingo rooms to pick from, all your bingo needs will be satisfied. There’s 75- and 90-ball bingo along with a range of specials such as Picture Perfect or High 5. When it comes to bingo games, you won’t miss a thing. And then there are slots. Whenever you want to take a break from bingo, hit the slot lobby. You can expect dozens of slots from the industry’s leading providers such as Microgaming. The jackpot collection is impressive as well, featuring all the current progressive jackpot for each. Licensed by the UKGC and the government of Gibraltar, Wink Bingo is a safe and reliable operator. The games are regularly audited by eCOGRA, so you can expect a fair and random outcome. The bingo site has profiles on the largest social networks Twitter and Facebook, so you can get the newest promotions with ease. This visually pleasing bingo site has all the tools to succeed and is righfully considered one of the best online bingo sites. Costa Bingo calls itself the brightest and biggest bingo community online, but is it really like that? Famous for offering huge jackpots, Costa Bingo is surely one of the top 10 bingo sites in the UK. The “biggest and brightest” claim is pushing it too much, but it’s nonetheless a great brand. It’s not just because of the jackpots – Costa Bingo’s promotions are also to die for. Nicely organized by type of offer, the bingo site’s promotions are available for all. You can win a variety of prizes as well as free bingo tickets that can later be used to reel in even better rewards. If you’re only there for the games, you’ll be pleased to know that Costa Bingo runs on the new Dragonfish platform. Apart from the solid collection of rooms, you can play bingo for 24 hours at the site for as little as 1p per round. That really sounds great. Add the regular and progressive jackpots in each room and we’ve got a winner. But there’s even more! Costa Bingo has an extensive collection of online slots – a total of 433! It’s great to see a bingo site that offers hundreds of other games, and they’re all provided by leading game studios. The bingo site is licensed by the UKGC and the Gibraltar authority, which means it’s a credible business. The games are regularly checked for fairness and randomness as well. The site works great on mobile screens, so overall, it’s a great package that you shouldn’t miss. With a name that has its roots set deep in bingo culture (the pen that marks bingo numbers is called dabber), Dabber Bingo has set its sights on experienced bingo players. Owned by Cassava Holdings, itself a part of the large 888 Holdings plc., Dabber Bingo was launched in 2016 to the delight of UK bingo fans. It’s one of the many online bingo sites that accept bets as low as £5. Due to this fact, it didn’t take long for it to crack the list of top 10 bingo sites in the UK. Why choose Dabber Bingo? Well, how do 30 bingo rooms and around 300 slots sound? Apart from the impressive collection of games, Dabber Bingo offers £70 worth of bingo tickets as well as free spins for newbies. That’s a nice offer that will put you on the right track. Running on the Dragonfish platform, Dabber Bingo offers a multitude of online bingo rooms. There’s free bingo and a range of exclusive bingo games that can be found nowhere else. The site lists the jackpots attached to the games so you can easily pick your favourite. Not a fan of bingo? You can still have fun at Dabber Bingo. Enjoy a stellar cast of great slots at Dabber Bingo, progressives included. The slots are provided by industry-leading studios such as Microgaming and NetEnt, which means you get nothing but the best titles. Dabber Bingo has 24/7 customer support if you have any questions you need answers to. You can deposit and withdraw money with PayPal, Entropay, Visa, and Mastercard. Not the most extensive list of payment options we’ve seen, but it’ll do fine. Although it doesn’t have the experience of bigger bingo sites, Dabber Bingo has done enough to enter the top 10 online bingo sites list. If you’re a newbie to online bingo and need a site with no gimmicks, Dabber Bingo is a great choice. Betfair is one of the biggest betting brands in the world. An official betting partner of FC Barcelona, Juventus, and Arsenal, it’s a well-known name that offers industry-leading odds on any sport. What you might not know is that Betfair has also entered the bingo industry with its site Betfair Bingo. Online since 2013, Betfair Bingo has impressed avid bingo fans in the UK and Europe with its great offer of games. There’s free bingo, 75- 80, and 90-ball bingo games starting all the time. You can deposit as little as £5 to qualify for great prizes which are usually paid out as bingo bonus funds (1x wagering). Betfair Bingo values loyalty above everything else – if you’re a regular, you can look forward to a truckload of prizes. Apart from bingo, Betfair offers loads of slots, jackpots, and scratch cards. Among the most interesting titles are Monty Python’s Life of Brian jackpot or Vlad’s Castle for horror fans. There are definitely enough games to not spend a boring minute here, all with huge jackpots attached. There are a few variants of roulette and even live dealer games for your pleasure, making Betfair’s collection more than solid. The bingo community at Betfair is friendly and chatty, with hundreds of players always online. The website works and looks great on desktop and is fully optimized for mobile phones and tablets as well. Additionally, Betfair promises fast payouts, which is another reason why thousands of bingo fans love it. If you want to play at a reliable and recognized brand, look no further than Betfair Bingo. Putting your lucky pants on when going to the bingo hall? Well, why not do the same when playing online bingo? Better yet, let Lucky Pants Bingo do it for you! Launched in 2013, Lucky Pants Bingo rose instantly up the top 10 online bingo sites lists in the UK thanks to the fine promotions and a great collection of games. The 1st deposit offer for newcomers at Lucky Pants is a hefty 200% bingo bonus with a side of 100% slots bonus. There are other promotions as well such as a second deposit bonus and the so-called Pants in the Air bonus which gives you different prizes for a stake as low as £10. In the games lobby, you’ll find all the usual bingo games including the popular Bingo 5L. Free bingo rooms are also available along with a Turbo Bingo room, which, as the name says, is much faster than regular bingo rooms. Besides bingo, you can play slots, table games, arcade games, and scratch cards at Lucky Pants Bingo. There’s plenty of fun to be had around here and plenty of prizes to be won as well. This bingo site is licensed by the Alderney Gambling Control Commission and the UKGC, so there’s no question about its reliability. Lucky Pants accepts a variety of payment options for deposits and withdrawals and has 24/7 customer support, factors which make it one of the best bingo sites in the UK. As you can see, there are numerous great bingo sites in the UK. It’s up to you to choose the one that suits you the most. All these sites offer free bingo and all the other bingo games we’ve grown to love. Some offer exclusive games you can’t get anywhere else – if you want to try them out, find a site that offers exactly that. You can win amazing prizes at each site featured on our top 10 online bingo sites list. No matter if you’re a newbie or an experienced bingo fan, you’ll definitely find something to like.